Health care and education saw the greatest month-over-month net change in job growth in December, adding to a year of mammoth job creation in the services sector. 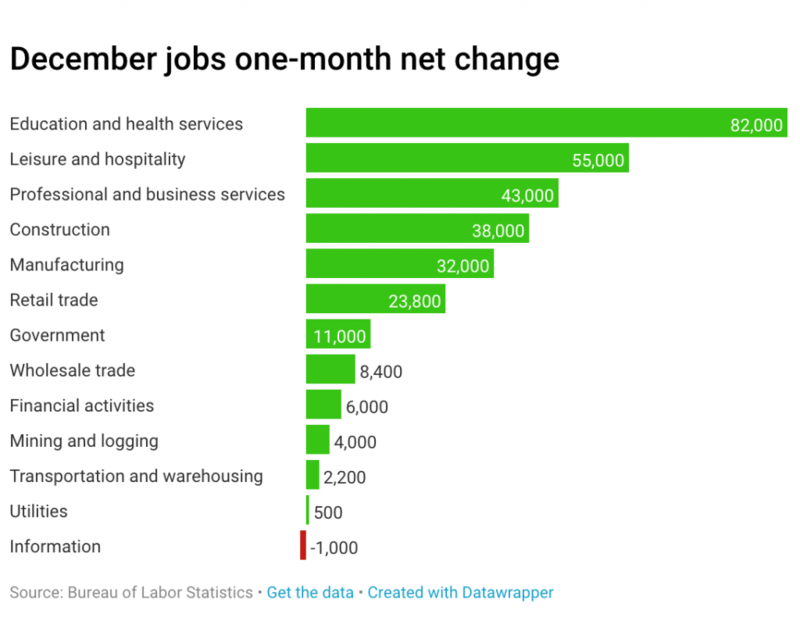 Health care alone accounted for more than 50,000 new jobs in December, while the construction and manufacturing sectors added to healthy gains in 2018. 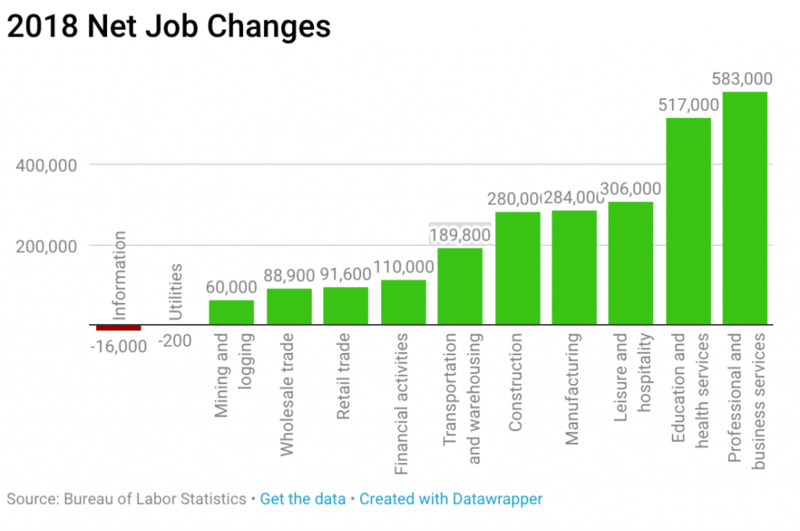 CNBC studied the net changes by industry for December jobs based on the data from the Labor Department contained in the jobs report released Friday. The U.S. economy added a whopping 312,000 jobs last month, more than the 177,000 estimated increase from economists polled by Refinitiv, according to the report. Health care and education, which combines everything from outpatient care and social assistance to teachers and professors, posted a net gain of 82,000 jobs. Home health care services (+13,300), physician offices (+6,700) and other ambulatory care services accounted for more than 37,000 new positions while social assistance services added 7,700 jobs. Education added 24,000 jobs. “Job gains occurred in health care, food services and drinking places, construction, manufacturing, and retail trade,” the Labor Department said in a release. Retail trade employment, usually marked by larger swings in employment around the holiday season, added 23,800 jobs for the month. Construction added 38,000 jobs in December, with gains in heavy and civil engineering and nonresidential specialty trade construction. That sector added 280,000 jobs in 2018, topping the 2017 gain of 250,000.
Leisure and hospitality saw a net gain of 42,000 jobs. That industry includes workers in the arts and entertainment space, as well as hotel employees and members of the food service industry.